Choosing the best new 4×4 tyres takes a lot of research and tradeoffs, but I’m happy with the end result. I AM NOT about to preach to the converted about offroad tyres, rather talk you through my logic of wheel and tyre selection for my Grand Vitara. Being a top-of-the-range 2010 Prestige it was sold with attractive, but offroad unfriendly 18” wheels with 225/60/R18 highway tyres that needed to come off the car as soon as possible. A little bit of extra height and clearance in addition to my lift. A set of five so the spare matches. Incidentally, the spare looked in perfect condition. It wasn’t though, it was still the original tyre from 2010 so it was seven years old, too old to be useful even though it had never been run on the road. The first thing to do was to figure out what sized tyre I wanted. The stock size is 225/60/18, which has an overall diameter of 727mm – calculated by (225 * 0.6 * 2) + (18 x 25.4) – two tyre sidewall heights that are 60% of the 225mm width, and 18 inches of wheel by 25.4mm per inch. I can’t go more than 50mm taller, and to be honest I wouldn’t want to for a vehicle this small, so I am looking at overall diameters of 750mm or less. The law says the load rating of the tyre must be the same or greater than on the vehicle’s placard, and that’s 100, or a load rating of 800kg. As the Grand Vitara is a 4WD categorised as MC under the ADRs, it’s allowed a lower speed rated tyre than its placard of H, all the way down to N rated. The first thing I did was narrow down the tyre that I wanted. There was no point in looking for a wheel if my chosen tyre wasn’t available in an appropriate size. While temptation would draw me to look at wide tyres that I’m told would fit for a more aggressive look, my sensible side told me to look at a tyre around standard width, but in a higher profile. The big question was did I need an All Terrain or a Mud Terrain tyre? Surprisingly this has been quite a hard decision that I’ve sat on for a month or more. Once my Grand Vitara is sufficiently modified I expect that it should spend maybe 20% of its time offroad. My estimations could be out, but that’s what I have to work with right now when I’m choosing a tyre. I plan to use it for proper offroad touring with any number of variance in surfaces – dirt, mud, clay, rocks, water, etc. But the remaining 80% of the time it’ll be driven onroad for short runs and the occasional long trip. I can deal with a noisy tyre, that can be fixed by turning the stereo up a bit louder as the NVH is nothing to write home about at the moment and performance is more important to me than comfort. So a serious offroad tyre is on the cards as I will probably drive less than 10,000kms per year, so I might use the tyre up through age not wear. I wanted a proven tyre from a reputable manufacturer and one that came recommended by friends since I’m new to offroad tyre buying. Cooper Tires got a good wrap from a few people I know and I liked driving with them on Robert’s Ranger, so I began to look at their range. Here’s a table I made to help decide, showing overall diameter and effect on ground clearance. There were two that stood out at the aggressive end of their All Terrain range; Discoverer A/T3 Heavy Duty and Discoverer S/T MAXX. In Mud Terrain there was one choice, Discoverer STT PRO. All three options were available in the size that I wanted – 225/75/R16. This size would provide me with a moderate 17mm increase in diameter translating to an extra 8mm or so of ground clearance to complement my Ironman lift. Any wider than the stock size came with possible drawbacks; fouling on the guards, increasing unsprung weight and increasing fuel consumption. A wider tyre wouldn’t give me any greater contact patch either compared to a narrower tyre. Any taller tyre would start causing even more stress on the car including putting the suspension and bushes at more acute angles, changing gearing significantly and if I went tall enough issues with the law. It just wasn’t worth it for a little bit of extra clearance when clearance is now over 230mm and no longer what is halting my progress on tracks. That’s mainly down to lack of traction, which the new tyres would improve, and departure angle by being hung up on the towbar, which still needs a solution. On Cooper’s website the Discoverer A/T3 Heavy Duty states “60% Road & Sand, 40% Dirt & Mud” and the Discoverer S/T MAXX “50% Road & Sand, 50% Dirt & Mud” – all-in-all, for pretty similar uses. The S/T MAXX looks a bit more aggressive on the sidewalls and I’ve had experience with it on the Ranger. The Discoverer STT Pro states “80% Dirt & Mud, 20% Road & Sand”. The latter isn’t exactly my intended use division, however it would be the superior offroad choice for strength and traction, and given my limited kilometers it is likely to wear out in age before it wears out in tread. 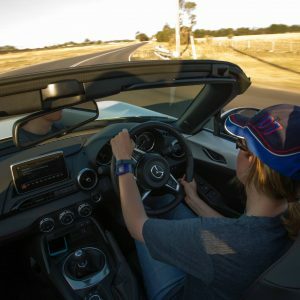 I can deal with the additional noise, and any differences in onroad handling shouldn’t cause me issues as I’m a smooth, calm onroad driver these days. I leave my fun for racetracks and bush tracks. And these days, modern mud-terrains are more ‘daily driveable’ than ever before. Looking at the tyres side-by-side you can really see the difference as they step up in offroad ruggedness. Discoverer STT PRO Mud Terrain tyres it is. The car will look suitably aggressive with these bad boys! Diameter – not so small it won’t clear brake calipers or fouls any other part. To stay on the right side of the law, no smaller than the smallest diameter that was offered for the car. Stud pattern – has to be the same. Otherwise you’re looking at changing the hubs or running PCD conversion spacers, which are in most cases illegal, increase the track and offset and introduce another point of failure. Load rating – must meet or exceed that of the OEM wheels. Just because something fits, doesn’t mean it was intended for a vehicle that heavy. Offset – close to stock offset is good if you’re not increasing width. It lessens the chance of fouling any part of the car. Most of the secondhand alloy wheels from lower model Grand Vitaras were 17”, and that was too large a diameter for my liking as the Grand’s tyres are only 727mm tall compared to about 830mm for a larger 4×4 like a Ranger. Most of the 16” wheels I found were steel, or alloys but not a complete set of five. So I broadened my scope a little bit. I didn’t want to spend much – the wheels would likely get scratched offroad so I needed something that I wouldn’t be too precious about. Conveniently the Grand Vitara runs a 5×114.3 stud pattern which is very common for SUVs. Wanting to spend around the $200-300 mark on secondhand OEM alloy wheels I headed to online auction sites and stumbled upon a suitable set of five wheels in Victoria – 2003 Hyundai Santa Fe wheels in 16×6.5” +46 offset with roadworthy tyres. Although I didn’t need the tyres they could be taken off and sold, along with the 18″ wheels and tyres currently on my Grand to make some money back. At $220 I couldn’t really go past them. Once I remove Hyundai off the centre caps no-one would take a second look and think that they’re from another manufacturer. Maybe I’ll spray the whole wheel black too…what do you think? Stay tuned for an update once the wheels and tyres have been on for a little while, and a comparison between old and new. Very good Juliette. ..I enjoyed reading your story. I like the way you deal with NVH noise issues….. and a decent stereo certainly helps. Look forward to reading more….would like to hear more about your Grand Vitara too, as I am considering a similar model, for I suspect, similar purposes. V6 ? Though, I must admit, I am not as scientific in my approach. Nice read, however, do you have anything to say about the speedometer not providing accurate measurement? If the diameter is bigger the speedometer will provide us a speed slower than the real one, not to mention that at long term the odometer will give the wrong distante as well. I’m really interested o getting some AT tires on my Suzuki Vitara 2016, but this little issue is the deal breaker for me. Do you know if it is possible to change the tire size in the car computer? Hi Arturo, I wouldn’t think so. It doesn’t really bother me, and as the speedo under-reads anyway I’m closer to actual speed with this tyre size (measured by GPS). A car enthusiast with a background in the modified street car and sportscar scene with a developing passion for offroad 4WDing.